Avmor, a 70-year-old manufacturer of chemical cleaning solutions and the largest manufacturer of professional cleaning products in Canada, announces that it will begin marketing its products through a select and limited number of distributors in the U.S. starting later this year. According to Mike Sawchuk, Chief Business Development Officer for Avmor, the official announcement was made at ISSA/INTERCLEAN North America in Las Vegas. "We are now looking for strategic alliances with select U.S. distributors and are offering exclusive territories throughout the country," says Sawchuk. He adds that Avmor has been planning this move to the U.S. for more than a year. During that time, the company made many changes in its operations, including changing responsibilities of key leaders in the company. The ultimate goal was "to best differentiate and support our growth in the U.S. of our healthier, safer, and more effective cleaning products," says Sawchuk. • Added a new line of "closed loop" dispensing products and dispensers, "ready-to-dispense" systems, as well as other dispensing options. 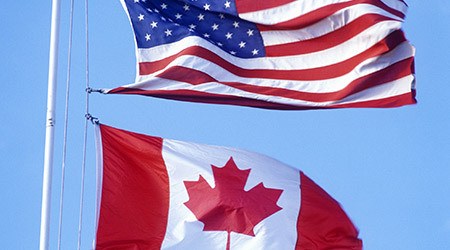 As for the reasons for the move to the U.S., Sawchuk says, "we see a lot of growth potential in the U.S. With the economies in both Canada and the U.S. doing well, now is the right time to be making this move." Sawchuk has worked directly with jan/san distributors for more than twenty years. "I know how to help distributors grow market share and incremental sales. I see Avmor's move to the U.S. as a real opportunity for some U.S. distributors."